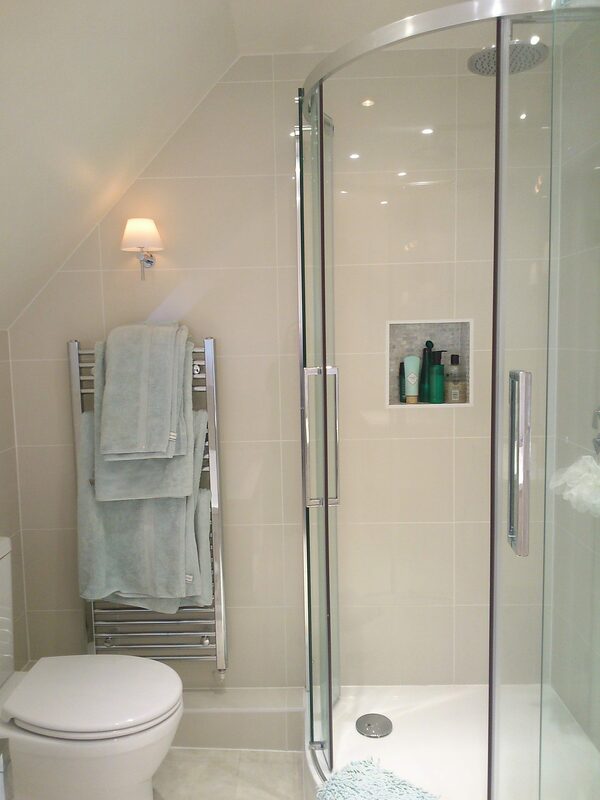 This bathroom in a 16th Century listed building was altered, renovated and redecorated. I worked alongside the client’s builder who increased the original room size, by moving stud walls and raising the ceiling height. I selected all the bathroom fittings, tiles and colours for the scheme creating a light, modern and elegant feel in a previously dark space.